Sponsored by The Town of Basalt, Willits Town Center, the Basalt Chamber of Commerce & Alpine Bank. Friday, November 30 • 4-6 p.m. It is highly suggested that you park further away and walk to the park, as traffic and parking may be challenging. Bookbinders – Staying open until 7 p.m. on November 30 for the tree lighting. 10% off all best sellers from 4- 7 p.m. in celebration of the tree lighting. Friday, December 7 • 4-6 p.m.
Bay Equity is hosting an Open House and winter clothing drive prior to Merry on Midland to get everyone in the holiday spirit. Basalt Regional Library will have a special holiday sing-a-long program from 5:30-6:30 p.m. with the Roaring Fork Youth Orchestra, as they perform traditional songs representing many cultures. The program includes free cookies and punch for the community. 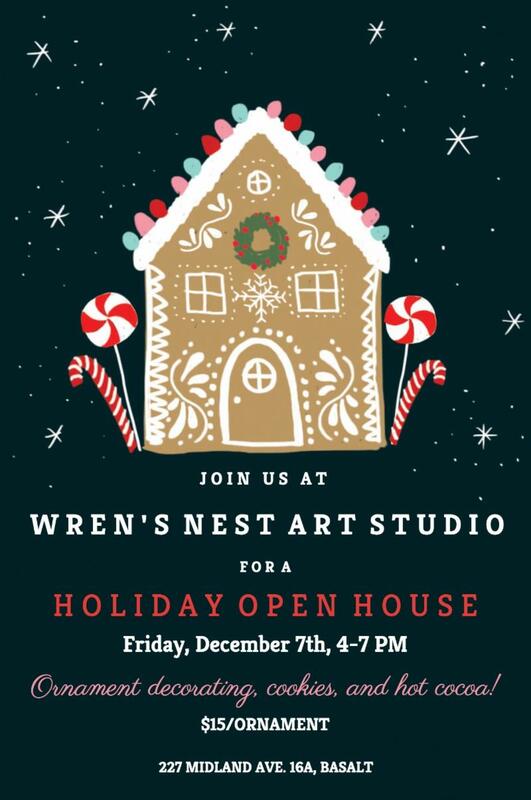 Wren’s Nest Art Studio - Holiday Open House from 4-7 p.m. featuring ornament decorating ($15/each), cookies and hot cocoa. Heirlooms – Cider and snacks, along with 10% off storewide from 3-7 p.m. Businesses must register for the contest in order to be eligible. Register here. Only outdoor lighting/decorating, and window displays, will be considered for the contest. Decorations must be visible from the outside. Displays should be full, colorful and have a lot of holiday lights. Be creative! The Town of Basalt requires that sidewalks remain clear and free of stray light cords that could pose a tripping hazards to pedestrians. If you have cords outside on the ground, they must be properly covered with a cord speed bump/protector. All decorations must be up no later than November 30. If decorations are not up by the deadline, you are not eligible for the contest. Photographs will be taken at dark, after hours. Photographer will be taking photos on his/her own schedule, no specific times will be scheduled. Contest winners to be announced and prizes awarded on December 13 at the Basalt Chamber of Commerce Business After Hours at Alpine Bank in Willits. Small is beautiful. November 24th is Small Business Saturday®. Help us celebrate and support small businesses and all they do for our community. The day is an opportunity to encouraging others to #ShopSmall at all the local businesses we love. With the holiday season fast approaching, this is a great chance to support our neighbors, while keeping money in Basalt, instead of shopping at big box stores and online. The Chamber is looking for retail, food & beverage, heath & wellness and other businesses who want to participate in the day. DEADLINE: Friday, November 16. We have lots of items to help our businesses promote shopping small: pens, reusable tote bags, welcome mats, posters and more. Heirlooms – Cider and snacks, along with “Small Biz Bingo” – win up to 25% off with a spin of the bingo cage. Interested in participating? 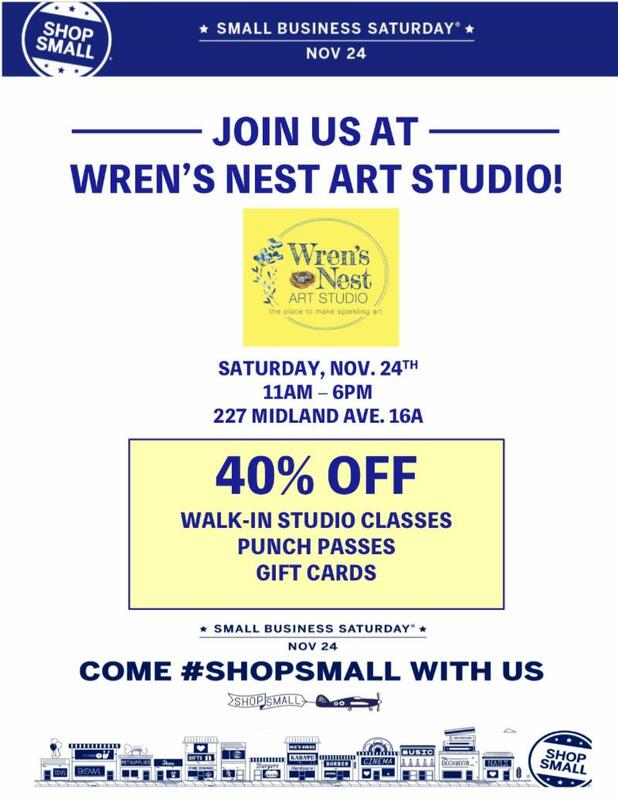 Email us for details and to pick up some #ShopSmall swag!